A restaurant in eastern Germany that tried to stir the pot by discounting food on Hitler’s birthday ended up unwittingly funding an anti-Nazi campaign, NBC says. 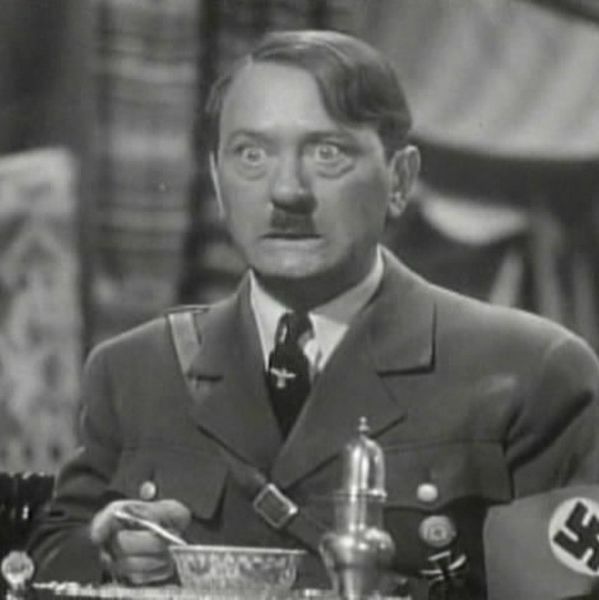 Wednesday was the 127th anniversary of the Führer’s birth, and this eatery, called Gasthaus Goldener Löwe, or “Golden Lion,” posted a “birthday meal offer” on Facebook valid for that day only. The deal entitled awful or naïve customers to their choice of schnitzel or a burger for €8.88, a number significant to Germans because neo-Nazis use “88” as a code for “Heil Hitler” now that the salute is punishable by three years in prison (H is the eighth letter of the German alphabet, so “HH” = “88”). Predictably, the post filled with a barrage of furious comments, replies by people trolling those comments, and then replies to those replies. A few commenters mocked the restaurant as a poser Nazi sympathizer because it tried honoring the supposed vegetarian with two meat dishes. The owner seemed pretty proud, regardless, thanking everyone in a subsequent Facebook post for the free advertising and laughing about the “shitstorm” he’d kicked up. What he probably wasn’t expecting, though, was for the stunt to end up on the radar of an internet anti-hate-speech group called Hate Helps, whose sole mission is turning “hate comments into involuntary donations” to anti-Nazi causes. Fabian Wichmann, who runs Hate Helps, tells NBC that Golden Lion’s deal made it a clear recipient. “Thank you Gasthaus ‘Goldener Löwe,’” the campaign then commented on the post, explaining that the hate speech had “automatically triggered” a donation to EXIT Deutschland, a group that helps rehabilitate former neo-Nazis.